Holding my breath? I'm panting like a sprinter. Some of the other ideas might be interesting though. "At the heart of this vision is an ambition to make Bath a city where it is quicker, cleaner and easier to get from A to B"
A tram or light rail system could be on the cards for Bath as the local authority reveals its latest transport vision for the city. Bath and North East Somerset Council cabinet member for transport, Mark Shelford, has said at the heart of his plan is the need to reduce the impact cars have on the city. He's also pledged to promote sustainable transport options to ease congestion and tackle pollution levels. Mr Shelford (Cons, Lyncombe) said the city needs to have a debate about ideas that can reduce the number of cars on the road. He said: “At the heart of this vision is an ambition to make Bath a city where it is quicker, cleaner and easier to get from A to B, with a transport system that supports our local economy, enhances Bath’s status as a World Heritage Site and reduces levels of air pollution." “To achieve this, some major policy decisions will need to be taken about how to reduce the impact of cars on the city and improve our air quality. "This includes working at a regional level to deliver the infrastructure needed to reduce the number of vehicles driving into and through our city. "But it will also require measures that promote sustainable transport, provide attractive public transport options, and encourage the use of low and zero-emission vehicles," he added. 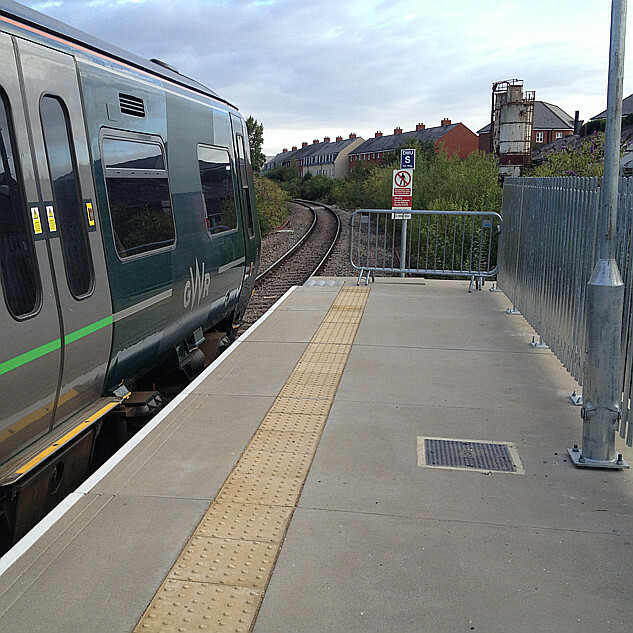 Mr Shelford's vision builds on the council's existing Transport Strategy. Securing investment in more attractive public transport alternatives - such as a tram/light rail system, for which the council recently commissioned a feasibility study, as well as regional projects such as the MetroWest rail network. Establishing an updated Air Quality Action Plan for Bath that seeks to reduce levels of air pollution in the city, particularly on key traffic corridors identified as Air Quality Management Areas. Increasing use of the city’s Park & Rides by improving road access, such as the junction of Freezing Hill Lane and Togg Hill and the approach to Odd Down Park & Ride. Providing the infrastructure needed to reduce the number of vehicles passing through the city and a new location for coaches to park outside the city. Creating more dedicated cycle ways and improving safety for walkers and cyclists through measures such as improved lighting. Looking at ways to reduce school-run traffic, such as investment in safe walking and cycling routes. “The council is already working on a new parking strategy, air quality action plan, and looking at innovate ideas such as a light-rail system, but we need to bring these different strands together into an overarching transport vision for our city. "That why I wanted to start a debate about the type of measures that could be introduced, and I am keen to hear what residents think and listen to any ideas people have which could help us address the transport challenges facing our city," said the cabinet member. I can't see it ever happening in such a small city though, however the power might be supplied! ...or rails, come to that! They accepted it in the past. 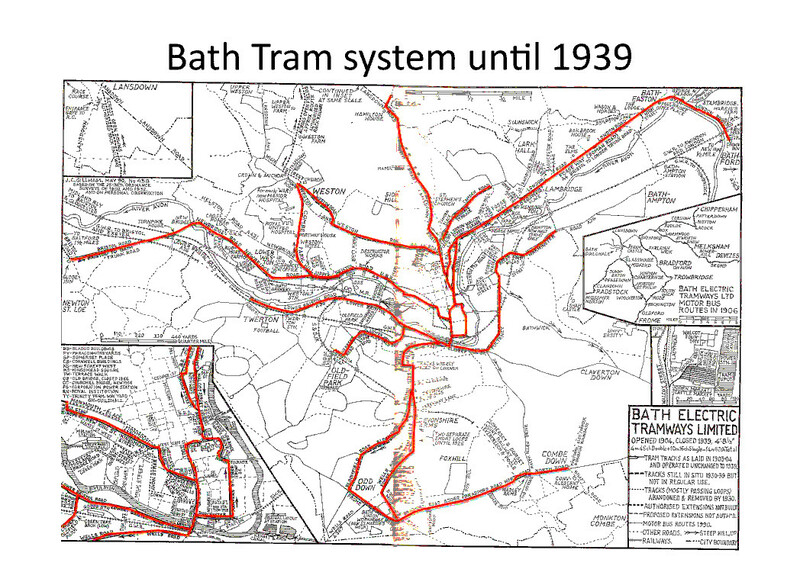 Though I don't know anything of the history of Bath's trams except that there was a line up the middle of the Wellsway, but I do know that Bath hasn't always been seen as beautiful and desirable. That Bath survived to become what it is today - Bristol's second-nicest suburb - seems to be largely down to the fact that it was deeply unfashionable in Victorian times. Apparently someone was rude about the thickness of the Queen's ankles, and she wreaked her vengeance (but planted the seeds of Unesco World Heritage status) by declaring it 'a silly place' and never going back (I may have made some of this up). Anyway I'm sure the Victorians who installed the Bath Electric Tramways viewed Bath's Georgian heritage with much the kind of disdain we tend to reserve for sixties brutalism. Of course, the likelihood of B&NES council actually getting anything done regarding public transport around here is prety much zero! Edwardians. The electric tram service stated in 1903. Previous company ran horse drawn trams until 1902. Sloppy of me. I was referring to the Victorians who installed the original 1219mm guage tracks of the Bath Tramways Company in 1880 (not to be confused with the various successor organisations who had a hand in running things prior to the takeover by BET, an acronym which can be expanded accurately in two different ways). You can imagine that they made quite a mess of the setts, as I'm sure did BET when they reguaged the system to 1435mm in 1903. Are their tram lines on the pavement near Superdrug in Bath? If so they have been their for several years & aren't ideally placed as their is heavy footfall in that area. Which street? There might be some old rails left in places but if so they've been there far more than several years, more like several decades. I doubt if there'd be any in the pavement. They are along Southgate. They have been their for decades & have never been used. Did B&NES run out of money or was the scheme scrapped for another reason. You could go for a "heritage" solution - Bath loves history. Restore it to how it was before the second world war in terms of routes, and run heritage vehicles for the tourists at peak tourism times (March to a week before Chrisrmas in Bath?) too.